Recent versions of Open vSwitch (OVS) provide an accelerated datapath based on the Data Plane Development Kit (DPDK) libraries. This acceleration benefits many users, but it is vital for meeting the high performance, high determinism requirements of NFV workloads. 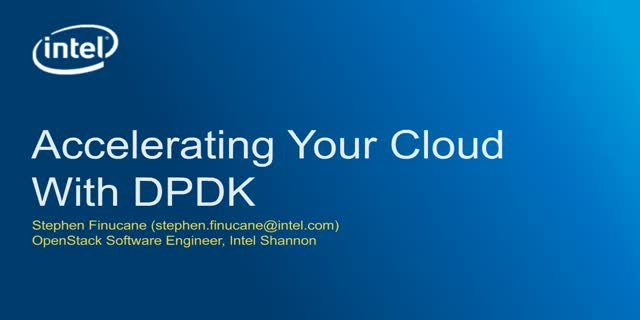 Open vSwitch (OVS) is the most widely deployed switching solution for OpenStack deployments , and Intel has been working to bring the benefits of OVS with DPDK to OpenStack. In this talk, we explore the work that has been done and the work that is still ongoing to bring the benefits of OVS with DPDK to OpenStack. We detail how users can benefit from these changes, and impact they can expect to see. Finally, we detail how users can get started exploring these changes themselves.